AEA Learning Online has many opportunities for districts to use in support of this Digital Learning Plan. The first we will discuss is how we support Blended and Online Learning. According to the IDLP, schools should “Foster Ongoing Professional Learning”. Professional learning and development programs should transition to support and develop educators’ identities as fluent users of technology; creative and collaborative problem solvers; and adaptive, socially aware experts throughout their careers. Technology can enable personalized learning or experiences that are more engaging and relevant. Mindful of the learning objectives, educators might design learning experiences that allow 40 students in a class to choose from a menu of learning experiences—writing essays, producing media, building websites, collaborating with experts across the globe in data collection—assessed via a common rubric to demonstrate their learning. Such technology-enabled learning experiences can be more engaging and relevant to learners. Technology enables personalized pathways for student learning through active and collaborative learning activities. Clearly defined sets of learning outcomes guide instruction. The outcomes, and the aligned curriculum, instruction, and assessment, reflect the multidisciplinary nature of knowledge; prepare students for our participatory culture through attention to digital literacy and citizenship; and attend to general skills and dispositions, such as reflection, critical thinking, persistence, and perseverance. Administration and school board provide leadership ensuring that policies and resources equip teachers with the right tools and ongoing support to personalize learning in their classrooms. AEA Learning Online offers a Blended Learning Cohort as professional development in support of the pedagogical changes teacher must go through to be effective and successful online educators. These cohorts consist of 4 courses that teachers and administrators can take through out a 1 1/2 year period (time period can change depending on need). Credit (no-credit option as well) is available at a significantly reduced rate. ● The third in the series is "Blending/Flipping Your Classroom 3: Designing Online Lessons" which will take place as a blended model with two days face-to-face and the rest online for those who have completed the first two courses. This course is also two credits (license renewal and graduate). This course is divided into two parts: Spoken Lesson best practices and design and Text Based Lesson best practices and design. Participants will create a video and a text based lesson created in Softchalk that can be added to their flipped or blended unit. ● Finally the fourth in this series is "Blending/Flipping 4: Activities and Assessment "which will take place as a blended model with two days face-to-face and the rest online and is also 2 credits (license renewal and graduate) for those who have taken the three other courses. This final cohort course is divided into two parts: creating rigorous and relevant activities and developing appropriate assessments for these activities. These activities and assessments can be added to their flipped or blended unit. Offered in conjunction with the Blended Learning Cohort are the OLLIE (Online Learning for Iowa Educators) online courses. These courses take teachers to the next level with facilitation, assessment and feedback intended to help teacher complete the Drake Online Teaching Certificate and support facilitated online instruction. AEA Learning Online also offers self paced content on Blended Learning and Personalized Learning found in the Teacher Training System. 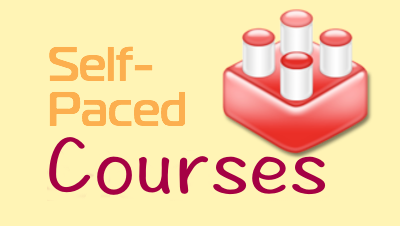 These courses can be taken for learning and/or credit any time from anywhere in a self paced environment. Look for our next post where we will discuss how AEA Learning Online supports Digital Citizenship discussed in the IDPL.